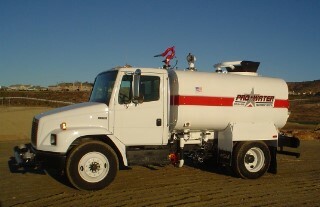 Pro Water Equipment has a 2500 gallon water truck capable of handling your water truck service needs. Water trucks are great for handling smaller grading and construction projects that don't require larger water wagons. Many times a 2500 gallon water truck will meet the needs of your project perfectly. We serve Southern California, Northern California, Arizona, Nevada.